We have created so much thus far at Whitelock Community Farm, but we can't stop there! Managing a sustainable farm and its programs is no small task, but it’s a vital part of the success and health of our city’s population. So, we're in the process of expanding our farm to an adjacent vacant lot. We want to grow more food for more people and become a sustainable organization, but this takes a lot of work and we need your help. 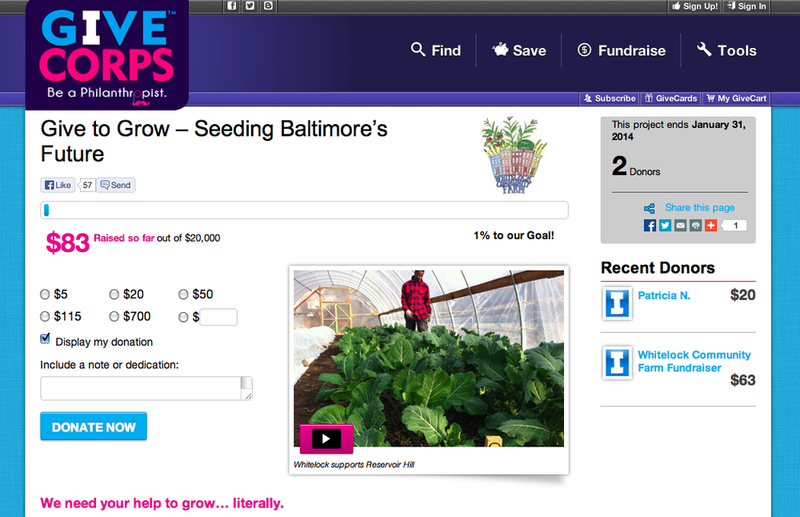 We have partnered with Baltimore's GiveCorps to raise money for our expansion, and there's great local prizes for you too! We are hungry for change at Whitelock Community Farm and know that some of you share our passion – show your support, and give today!